DEARBORN, Mich. (WTW) — The U.S. Justice Department says the FBI is joining local law enforcement agencies to investigate vandalism at Muslim and Sikh houses of worship in the Detroit area. U.S. Attorney Barbara McQuade and Detroit FBI chief Andrew Arena announced Thursday that federal authorities will participate in the probes of two attacks that happened this month in suburban Detroit. On Monday, the American Moslem Bekka Center in Dearborn was vandalized with graffiti. 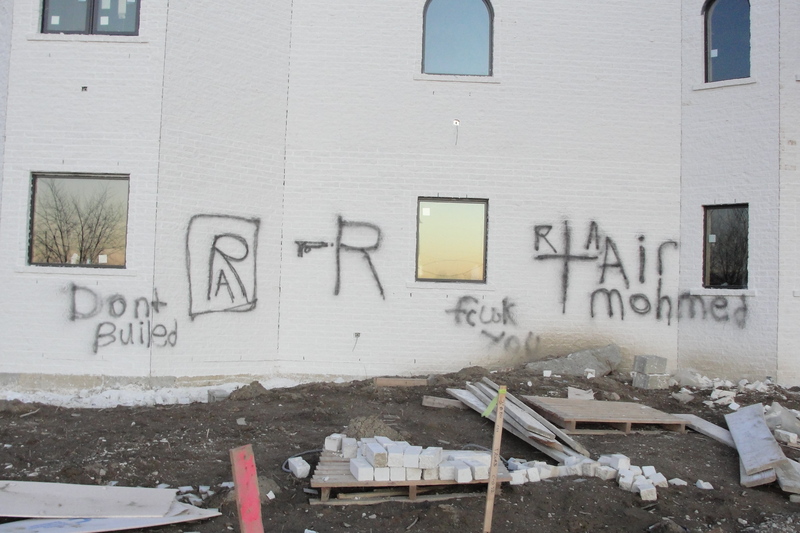 On Feb. 6, a Sikh gurdwara under construction in Sterling Heights was vandalized with graffiti. A federal hate crimes law makes it a crime to deface or destroy places of religious worship. The FBI says anyone with information about either attack should call the bureau at 313-965-2323. Discouraging is that there have been two similar incidents in the Detroit area in recent days, but encouraging is that the FBI is apparently taking these crimes seriously.